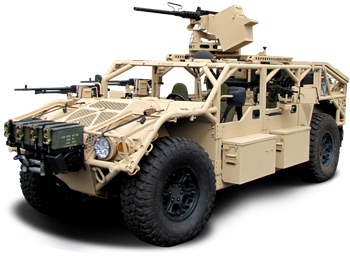 Flyer Defense established a manufacturing partnership with General Dynamics Ordnance and Tactical Systems to market and mass produce the Flyer family of lightweight, tactical wheeled vehicles. Prior to this association, Flyer Defense hand built limited quantities of earlier generation vehicles, which were used to refine the vehicle’s design and provide prototypes for customer evaluation. Combat experiences in Iraq and Afghanistan highlighted challenges with the aging HMMWV (“Humvee”) platform; namely, the vehicle could not be internally transported via the MV-22 Osprey in particular, and if up-armored to offer passenger protection from small arms fire and more critically, increasingly sophisticated and dangerous Improvised Explosive Devices (IEDs), lost much of its mobility and potential off-road performance. Both the Marines and special operations community saw the potential utility for a lightweight vehicle which could be readily transported by key tilt-wing and rotary wing aircraft for rapid insertion and extraction, which could provide both mobility and firepower to lightly armed troops. While potentially still vulnerable to small arms fire and IEDs, the tradeoff would be the ability to operate in difficult terrain where implanting IEDs is either very difficult or impractical, and to rely on speed and mobility rather than armor protection to help keep troops safe. 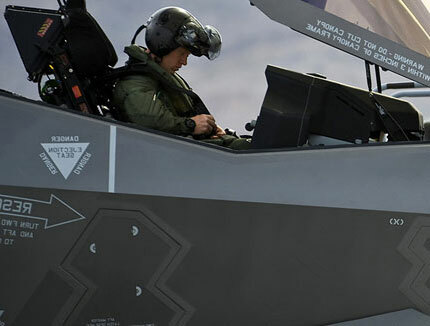 The ITV Requirement was generated to provide elite warfighters with a suitable light strike platform that could “get in and get out” as efficiently as possible. U.S. Marine Corps was seeking a wheeled, highly mobile, weapons-capable light strike vehicle which could be carried internally within the MV-22 Osprey, the CH-53 and CH-47. U.S. Special Operations Command (SOCOM) also picked up on this requirement, and in October 2013 issued an IDIQ non-developmental contract for up to 10 Flyer 60 vehicles. The field of candidates for lightweight wheeled vehicles is a crowded one, with a number of manufacturers vying for opportunities to support requirements in both the United States and internationally. Given this reality, competition has been fierce to meet U.S. military opportunities across multiple programs. The Flyer 60 was an ideal candidate to meet the ITV requirements, as it is based on a proven design and makes extensive use of commercial off-the-shelf (COTS) parts, which simplifies supply chain issues. In order to meet internal carriage requirements, Flyer Defense recognized that a major constraint on the vehicle’s size would be the width. 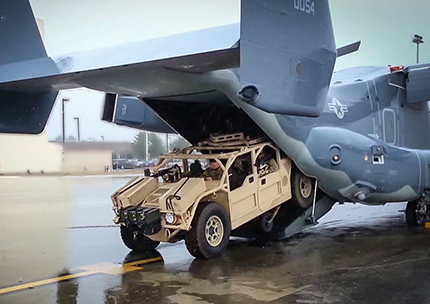 Its smaller Flyer chassis, The Flyer 60, is 60 inches wide, which enables it to fit inside the cargo areas of the MV-22, CH-52 and CH-47. This was an advantage over the HMMWV, which measures over 7 feet (84 inches) wide and is too bulky to do so. 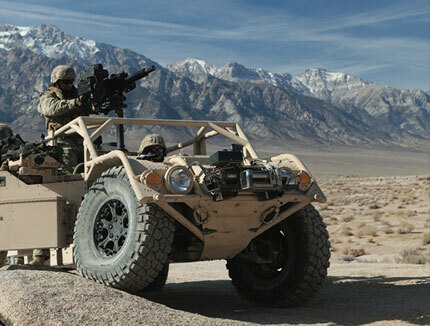 U.S. SOCOM, which had already chosen the larger Flyer 72 for its GMV 1.1 Requirement, issued an IDIQ contract in October 2013 for the Flyer 60 as an ITV platform for special operations use. Flyer Defense has successfully developed successive generations of a wheeled, highly mobile platform, available in two base chassis widths, which can be rapidly configured to support a variety of missions.